The Monte Rosa range is above Zermatt in Switzerland and forms the end of the Western Alps. 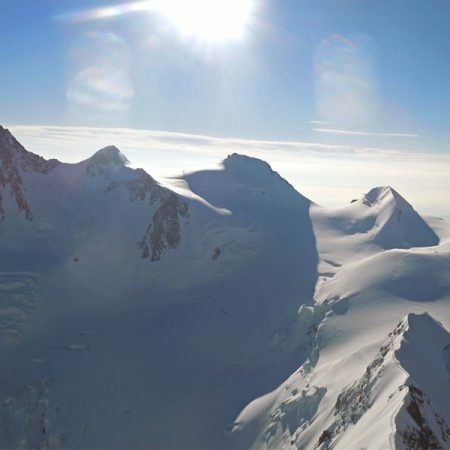 The list of high peaks – there are more 4,000m peaks here than anywhere else in the Alps – is impressive, but it is the seemingly endless vertical descent of each ski-run which makes this area popular with ski tourers. 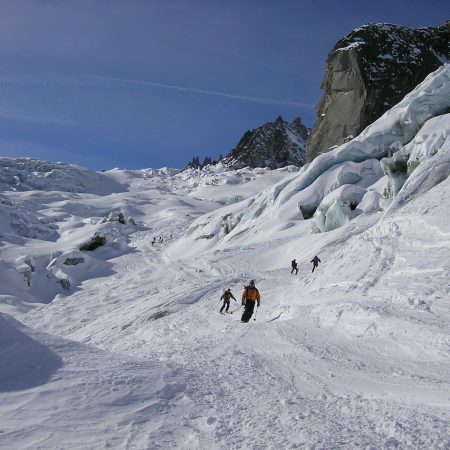 It also has some of the wildest glaciers in the Alps. 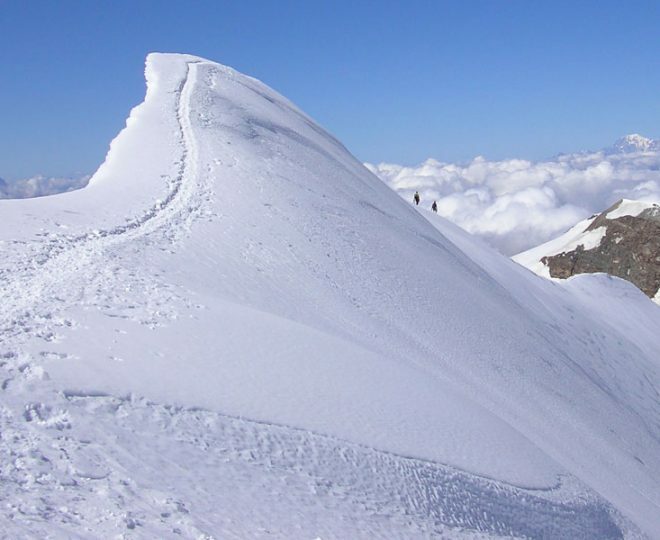 It is no surprise why the Monte Rosa area is a ski-mountaineering favourite. 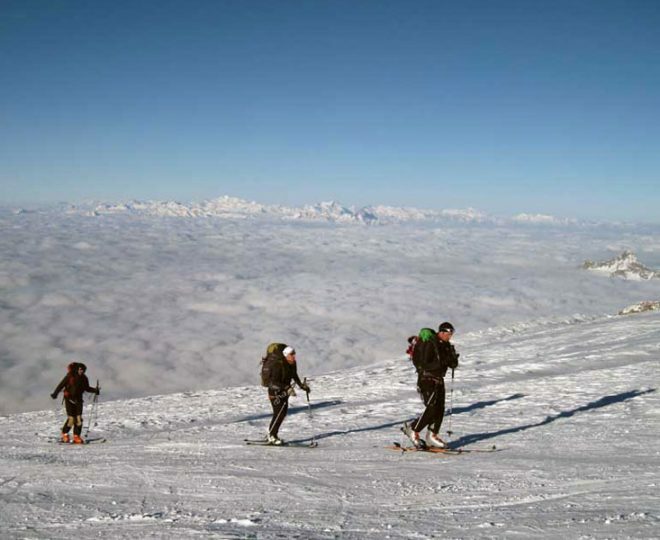 Our ski tour weaves its way along the Swiss/Italian border taking in many 4,000m peaks. 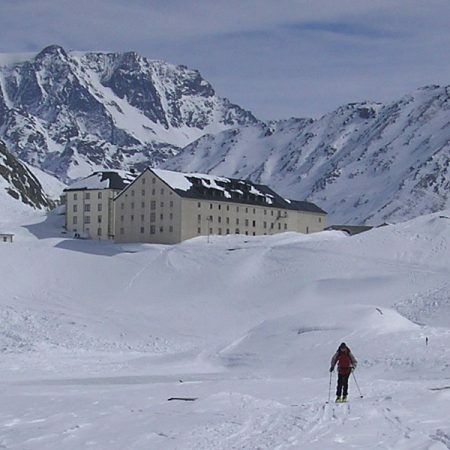 Most of the terrain covered is above 3,500m so good touring conditions can be found in May. High altitude, steep terrain and long ascents make this a demanding advanced level tour where good ski mountaineering skills are essential. 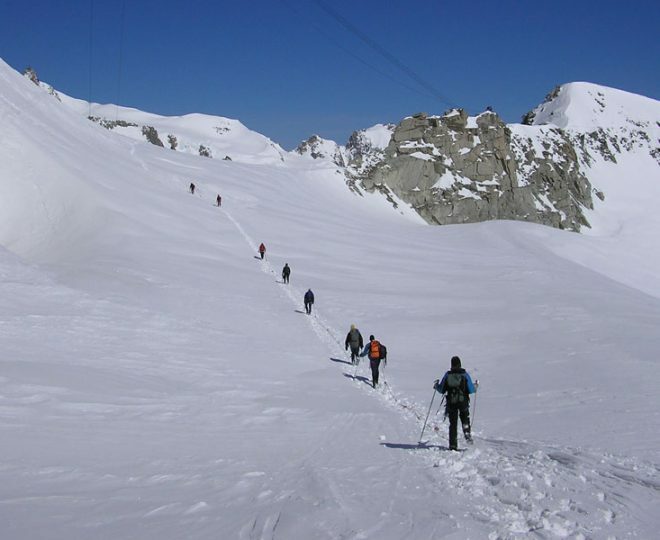 This is a technical ski mountaineering week in a less visited corner of the Swiss Valais. 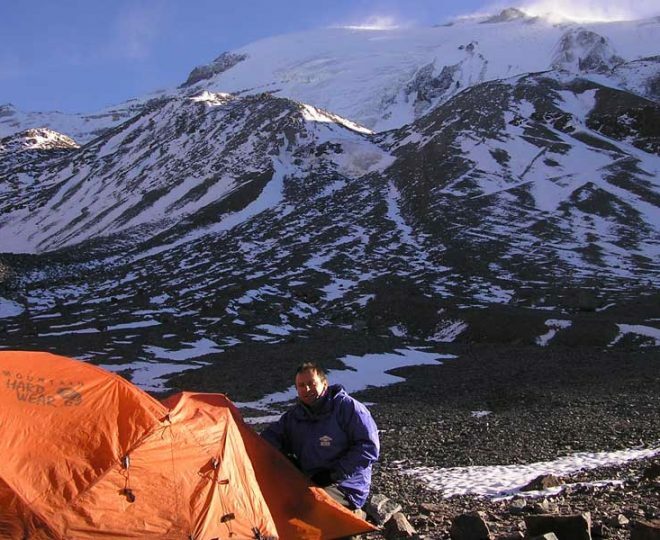 The tour involves the ascent of a 4000m peak, a lot of complicated glacier terrain and steep climbs on foot. 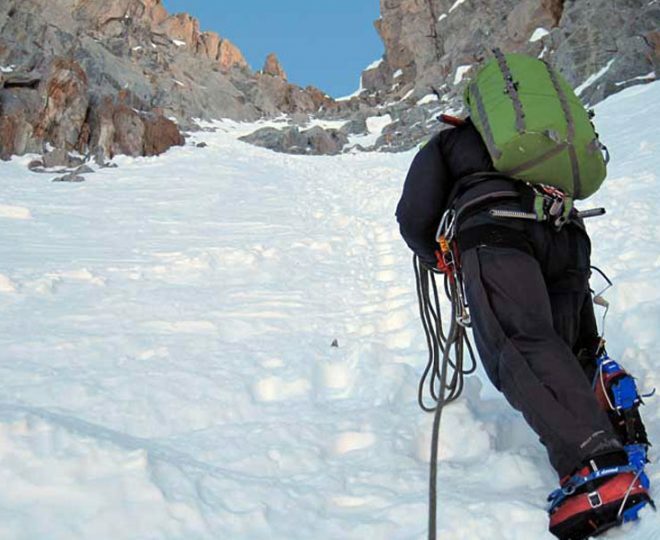 Roped climbing is involved on several days, to gether with a night at a remote unmanned hut. 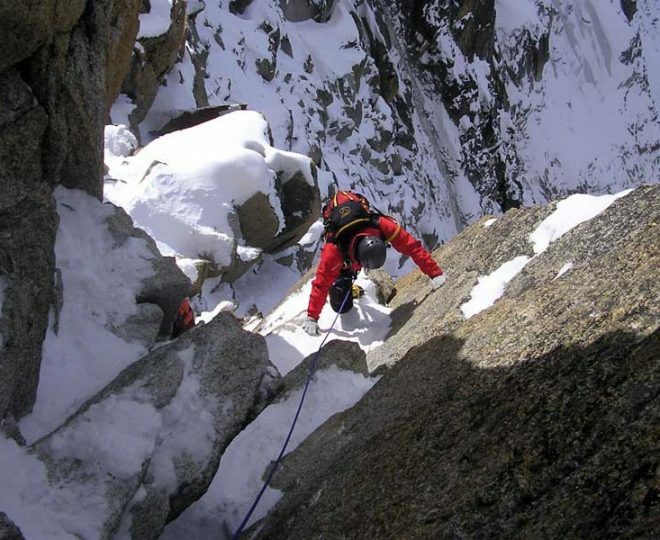 Stable conditions are required to complete certain sections of the tour. 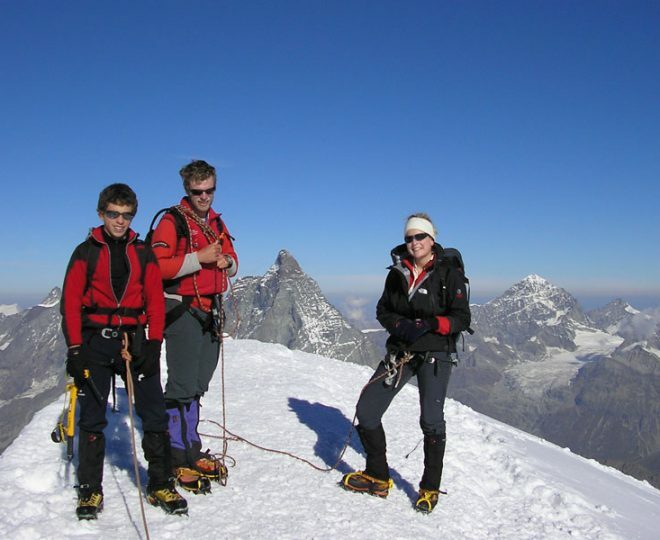 Splendid ski tour to the Grand Combin 4314m. 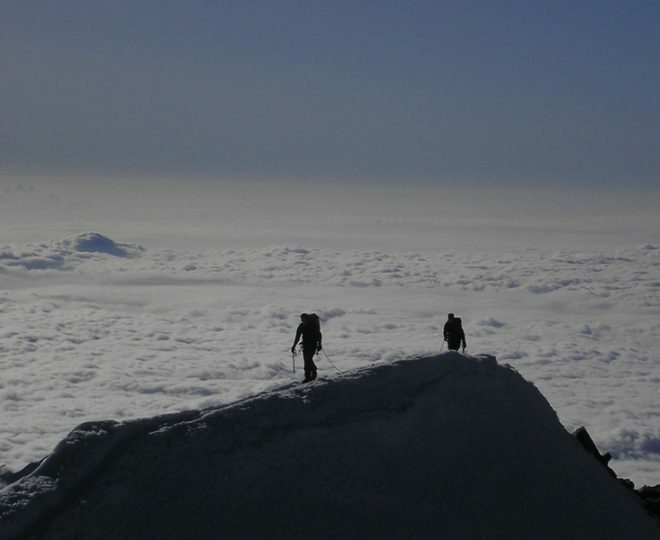 A gigantic massif is the Grand Combin. He is from all Valais-4000er visible and dominate with his size the Unterwallis/Under-Valais.